Technological advancements and the influx of electronic, digital and automated applications have drastically changed the way we create, view and share art. 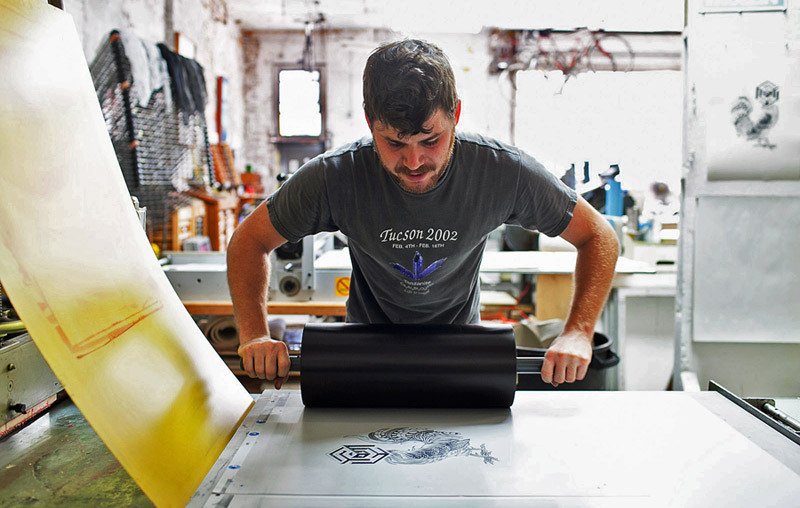 Mark Herschede, founder and owner of Haven Press Studio in Brooklyn, runs his print shop with an interest in innovation but holds a strong respect for the tradition of a time-honored process. "This is a print shop where digital meets traditional, and the intention can be focused either way or blurred together." 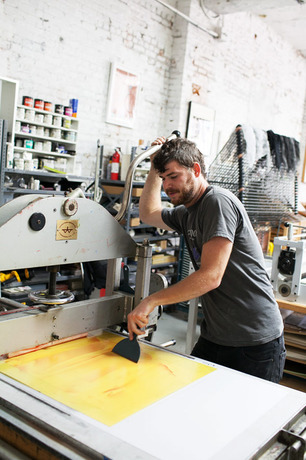 The impeccable work of Haven Press commissioned by galleries, organizations and individual artists marks just one element of the studio's operations. 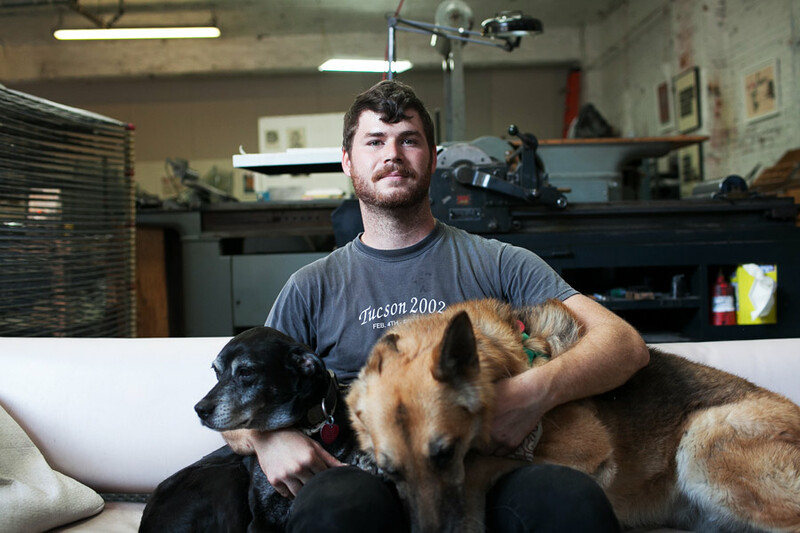 A one-man show, Herschede plays the role of printer, studio manager, exhibition curator, resident artist and janitor (not to mention caretaker to two adorable shop dogs—Montana and Able). 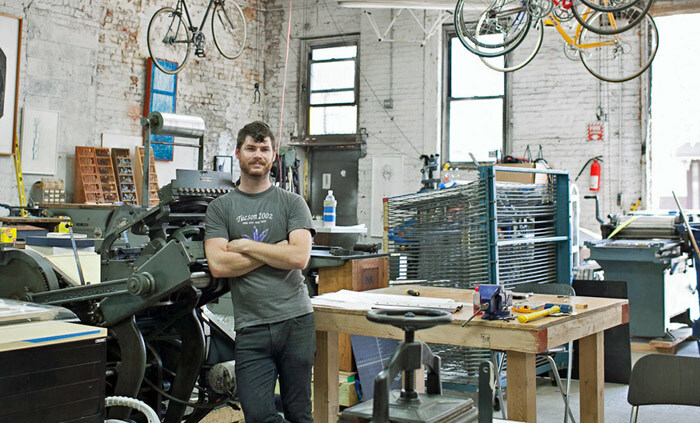 The 2000-square-foot space resembles a modern 1950s letterpress and is outfitted with six pieces of antique machinery found at auctions or passed down by previous owners, along with some modern digital technologies and photographic means. "This is a print shop where digital meets traditional, and the intention can be focused either way or blurred together," says Herschede. Still, the most remarkable element to Haven Press Studio is that while most print shops specialize in one or a few different print media at the exclusion of others, Herschede offers an expansive variety of processes—screenprinting, etching/intaglio, letterpress from type and polymer plates or cuts, lithography from plates or stones, photopolymer intaglio and traditional relief printing (including computer-controlled routers that provide capabilities to create digitally produced wood blocks at the neighboring studio, kontraptioneering). 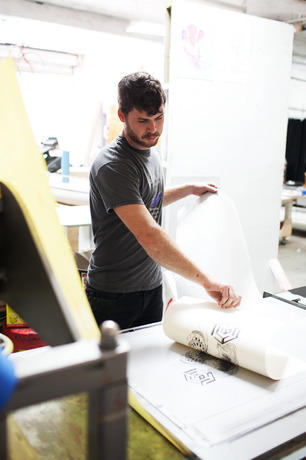 Plus, everything is expertly produced by the collaborative printer himself. "It's as if Gutenberg found out about inkjet printers and CNC," jokes Herschede about his studio, equipment and work style. New techniques and innovations related to print provide more efficient ways of doing the same things and allow printers to practice the same traditions in less toxic, more immediate ways. But most importantly, these developments have presented printmakers with choices. Being able to design and manipulate images through computer programs and apply them to the laborious execution of the work is a convenient complement. "Photoshop and computer-controlled artwork production have made it easier for artists who adopt the digital platform, or even more progressively learned on it, to make their work and view it in multiple ways easily. By using digital means to preview the work and mock it up, the imagination is presented with more alternatives at an earlier stage in the design process," says Herschede. "It's about intuition still, but there is something about an organic process as a final outcome that can breathe life into a digitally created artifact. It adds the touch of a human being to the process—mistakes, mojo, noise or whatever you call it—makes the work into something different." "I have made a choice to adopt the new while retaining traditional craft sensibilities and roots in analog processes—a balancing act is necessary." 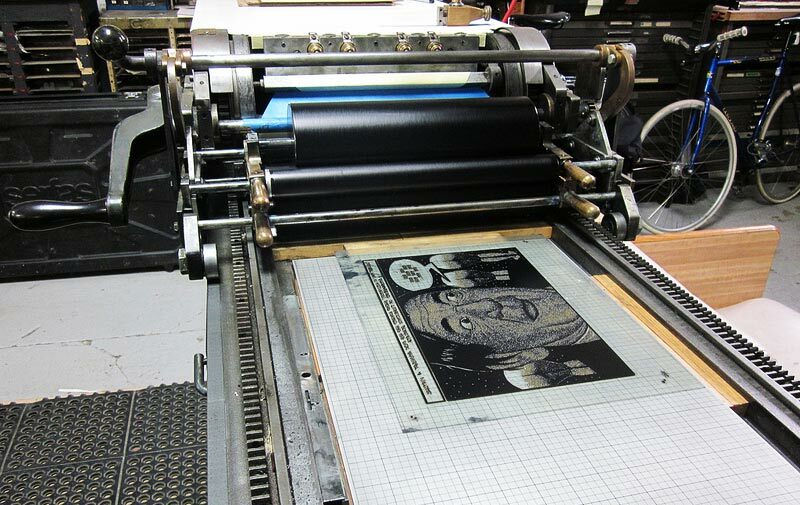 Equipment used to produce chemical stencils, intaglio plates, stamps, woodcuts and other printing surfaces has also added efficiency when realized with digital means. Scientific progress has been another game changer in the print trade. Thankfully, artists now have access to materials that are significantly less harmful to their health and the environment. Chemicals and other hazardous components have become less toxic, or in some cases have been eliminated altogether. While chemicals have become safer their cost and access to them isn't incredibly stable and the future could hold a further decline. Herschede observes, "There has been a great shift in production methods and as demand for physical printed materials diminishes access to chemistry could become the biggest threat to print, similar to what we saw happen with Kodak or Polaroid." Beyond preparing and executing art, the channels of exposing that work have opened up thanks to the digital platform. Artists can share and even profit from using websites, blogs and other online publications to promote their work. 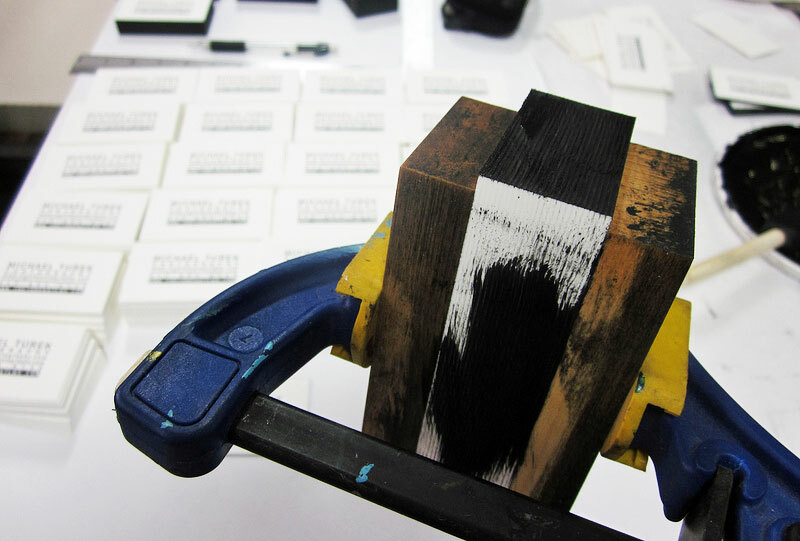 Matrix-style barcodes are popping up within exhibition spaces. They can serve as stand-alone art or as compliments to more traditionally formatted creations. As an artist, Herschede masterfully welcomes these modern ameliorations into his handcrafted realm and appreciates the added value. He ascribes print, especially for art's sake, as what he poetically describes as the "life support—keeping something alive that already technically died." As a printer, Herschede has the ability to look beyond the sentimentality of a waning tradition to find a level of comfort in technology, while catering to the current demand for goods that are locally produced with little waste. "Essentially print has evolved—we can all either accept it and adopt it, or move on without it," he says. "I have made a choice to adopt the new while retaining traditional craft sensibilities and roots in analog processes—a balancing act is necessary." 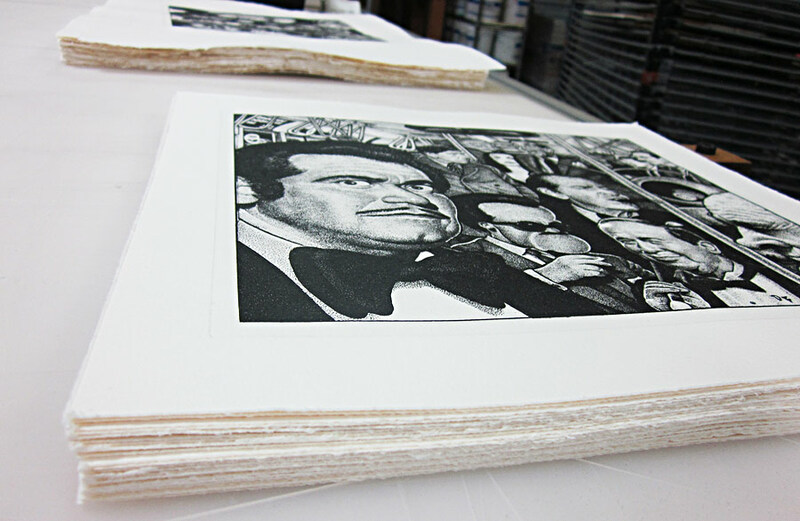 Haven Press Studio also offers artists the opportunity to produce their own work by renting time at the studio. In this sense, Herschede exudes the spirit of a patient artistic mentor, offering his guidance and expertise only as much or as little as the fellow printer desires. He values the importance of accessibility and collaboration, stressing the importance of freedom in the studio. "Instructors hand down the skills and tools, but further learning through mistakes and experimentation is necessary," he says. "If process or purpose is convoluted, or conversely too simplistic, then genuine interest can not flourish—you have to create interest by providing insight and strip it of any pretension. The approach can not be overzealous as it just creates intimidation." Clearly Herschede possesses not only the strategy of a 15th-century printer but the heart and soul of one as well. Thanks Cool Hunting for the article!